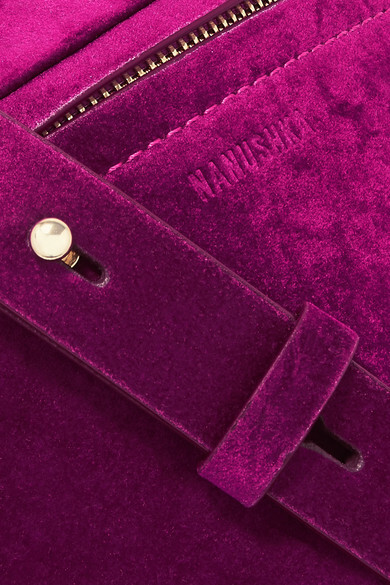 'Function' is a buzzword for Nanushka founder Sandra Sandor, who makes sure that her designs are equally practical and stylish. 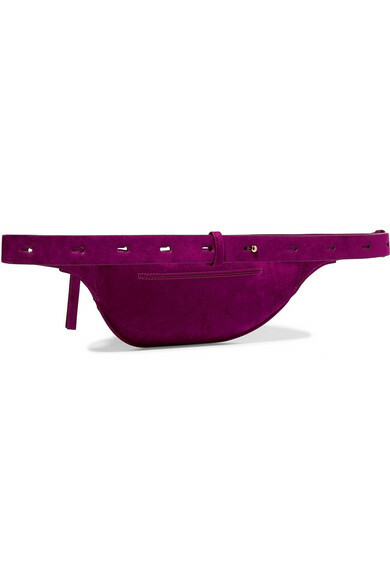 This plush fuchsia velvet version of the brand's popular 'Lubo' belt bag has a handy back slot that provides easy access to your cardholder or travel pass, and a canvas interior roomy enough for your daily essentials. Wear it around your waist or cross-body. Shown here with: Nanushka Shirt, Nanushka Trench Coat, Laura Lombardi Earrings.